Iraqi Prime Minister Haider Al-Abadi attends a meeting with Saudi Arabia's King Salman bin Abdulaziz Al Saud and U.S. Secretary of State Rex Tillerson in Riyadh, Saudi Arabia October 22, 2017. BAGHDAD - Iraqi Prime Minister Haider al-Abadi’s media office expressed surprise on Monday at comments by U.S. Secretary of State Rex Tillerson’s regarding Iranian-backed Iraqi Popular Mobilisation paramilitary units. 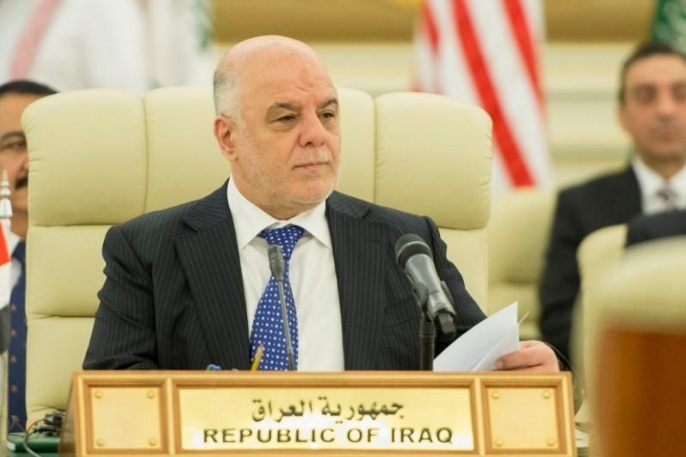 “No party has the right to interfere in Iraqi matters,” Abadi’s media office said in a statement citing a source close to the prime minister. Tillerson said on Sunday it was time for Iranian-backed militias and their Iranian advisers who helped Iraq defeat Islamic State to “go home”. Iraqi Prime Minister Haider al-Abadi’s media office expressed surprise on Monday at comments by U.S. Secretary of State Rex Tillerson’s regarding Iranian-backed Iraqi Popular Mobilisation paramilitary units.